LEOT is a grass roots charity. We don’t plan to grow an empire but share with others our beliefs and determination. Our partners range from small village support groups right up to international organisations and national government. 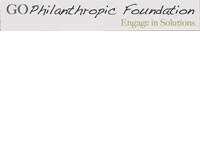 Go Phil is an American foundation that has granted us partnership status for two years. They visit us in Laos every year and mentor us. We share experiences through them meeting similar organisations in other countries. They have supported our activities with grants to pay core costs, support scholarship students, buy bicycles and give emergency relief. They are in every respect a true partner. Rotary is a worldwide organisation that works at many levels within local communities and internationally across most of the World. Our chair Peter is a Rotarian in the UK and is a member of the Leighton Linslade Club just north of London. His club sponsors a teacher’s salary. We recently started a major project to allow every student to have computer lessons. 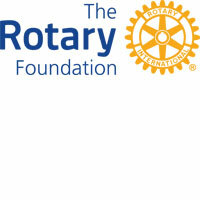 The Rotary Foundation District 1260 awarded us a grant to support the project. We prove to our sponsors that every penny given is spent directly on their projects. Rotary is another great partner. 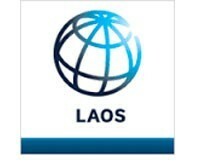 The World Bank in Laos has recently renewed their computers. The gift of their old desktop computers has enabled us set up a fantastic network in our library to teach computer studies to over two hundred students. Their laptops form a computer library for our students to borrow for to study at home, school and university. Computers are an unaffordable luxury for poor students in Laos. Today they form part of their weekly learning experience. The UK community in England has given tremendous support for many years. 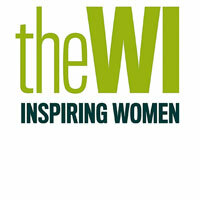 Heath and Reach WI is a women’s group in Bedfordshire that has knitted many thousands of jumpers over the years for distribution in village community. At Christmas we enjoyed the support of the Girl Guides in Leighton Buzzard District with the gift of clothing and basic medication. Northern Laos has just experienced exceptionally cold weather and the gifts made in the UK at Christmas have already kept many children warm. We thank all those that have supported with coffee morning and collections. Every penny has been spent to help the poor people of Laos. The UK Government is unique in the way it supports UK charities. LEOT is registered in the UK and makes annual returns to the charity commission. We also benefits from a major gift called Gift Aid. When a UK tax payer gives us a donation the government adds 25% extra. Just remarkable!